We nurture the dream, clear the roadblocks and protect our clients for the future. Our attorneys help clients navigate through the local government process of obtaining building permits, variances, special administrative permits, re-zoning and other approvals required to use or develop property. We represent individual property owners, developers, builders, lenders, and investors. We also represent residents who are concerned about a proposed development that may impact their property. Our extensive experience with local governments and local officials through the state enables us to work efficiently and effectively toward our clients goals. 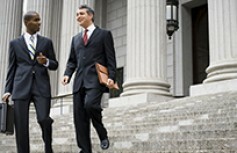 All our attorneys focus on pre-suit resolution and actively consider creative resolutions through all stages of a conflict dispute. In some situations, our clients and the local governments are not able to agree, resulting in administrative appeals and/or litigation in the court system. Because our attorneys are skilled litigators, we handle land-use issues from start to finish, even if that requires going to the Georgia Supreme Court.